NPR program Fresh Air recently conducted an interview with Larry Tye, the author of the biography, "Satchel: The Life and Times of an American Legend." 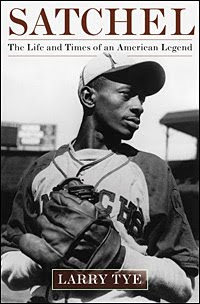 Tye's book was a New York Times best-seller in 2009 and gives great insight into the life and career of one of baseball's greatest players and characters, Leroy "Satchel" Paige. Click here to listen to the audio of the interview.